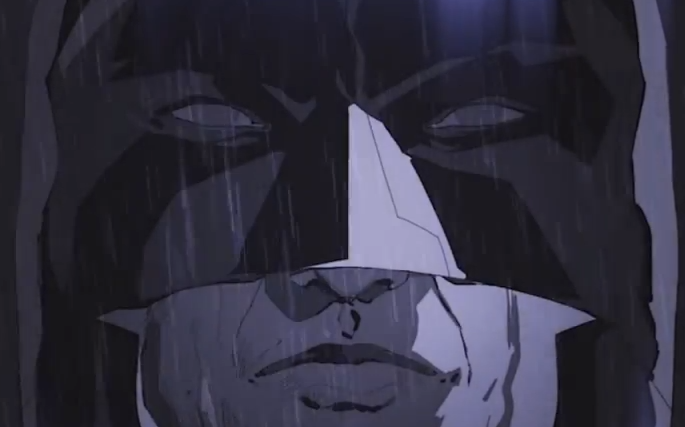 The Dark Knight rises on 3DS and Vita in this thug-pummeling adventure. Superhero games continue to impress, especially titles starring Batman. The Dark Knight captivated audiences on consoles, and now the world's greatest detective brings his crime-fighting ways to 3DS and Vita in the portable adventure, Batman: Arkham Origins Blackgate. This 2.5D game compliments Arkham Origins for Xbox 360 and PlayStation 3 with a Super Metroid-style adventure that sends players through Blackgate Prison to thwart three iconic crime bosses. While not as full-featured as its big-budget counterpart, Blackgate delivers addictive gameplay that mixes Batman's hard-hitting attacks with fun tricks of the trade. There's plenty to like about this game, starting with its visuals. Armature Studios did a great job capturing the dark side of Gotham, with dingy prison cells and ransacked offices. Of particular interest is the way the camera shifts perspective, as Batman moves between the foreground and background using his Grapnel. It's especially cool on Nintendo's system in glasses free 3D, though Sony's machine has a slight advantage when it comes to graphical detail and resolution. One could make the argument that Blackgate's visuals seem depressing, but conversely, it does take place in a prison. Additionally, fans will enjoy 2D animated cut scenes designed to resemble a comic book, complimented by quality voice acting that adds depth to each character. Don't skip these cinemas. From there, the combat somewhat mirrors the Arkham console games in the sense that players can easily attack and then counterattack bad guys when prompted. It's sort of like a pinball effect where Batman bounces from one goon to the next. He possesses a limited arsenal, but there are enough maneuvers to take down the opposition. Players can even get the jump on their adversaries from above, distract them by hitting objects with the Batarang or string them up. Next, there's the whole Super Metroid influence. The goal of course is to get from one section to the other while defeating the boss, but gamers will soon discover hidden areas filled with secrets, from new pieces of equipment like the Batclaw to clues that unravel pieces of the story. The inclusion of Batman's x-ray style Detective mode and a simple-yet-fun hacking mini game handled via motion control add to the game's appeal. Players should expect some backtracking. Not only does this limit the amount of action in the game, but this is where the drab-looking environments will begin to disappoint, as gamers stare at the same locations for an excessive amount of time, without a single enemy to engage. There's also a conspicuous lack of surprise. It almost feels like the developers were more concerned with taking a paint-by-numbers approach over producing a groundbreaking product. Not necessarily a bad thing. Since portable versions and spin-offs of console games usually come up short, we went into Batman: Arkham Origins Blackgate with low expectations and discovered a quality experience that favors brains just as much as brawn. If you need a Batman fix away from home (and also downloaded Arkham Origins for iPhone and iPad), it's time to make a return trip to Gotham City.